Retirement is different today than it has been for previous generations – it is a great time for you to get a second opinion on your retirement to help address common retirement planning concerns. How much risk is your retirement savings exposed to? Will you receive your full Social Security benefit? Can you create a retirement income plan that lasts as long as you do? Do you have access to technology that can make your retirement easier to manage? Is your retirement ready to stand the test of time? Suzanne M. Buska | President, Buska Retirement Solutions, Inc.
Sue Buska has had a long career in the insurance and financial services industries, faithfully serving her clients for nearly 40 years. Her son, Cole Bruner joined the family firm in 2007. He now serves as the fourth generation of the Buska family to join the industry. He is passionate about continuing the legacy his great grandfather began when he opened his agency in 1939. Over the years, Sue and Cole have been trusted by thousands of clients throughout Wisconsin to help them plan for a more secure retirement. They understand that each client's retirement is unique, just like them, and their plan should be equally unique to meet their individual needs. 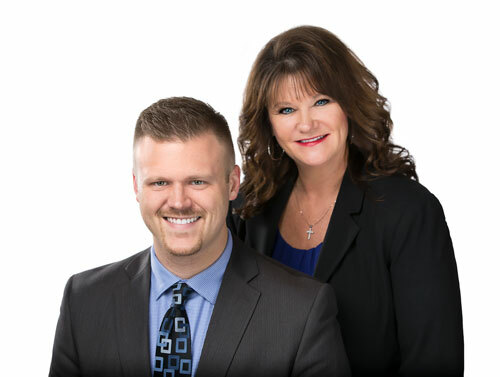 Sue and Cole are a dynamic planning team, helping clients to focus on how they will create a reliable income stream in retirement. They believe in the philosophy that knowledge is power. Along with their team of advisors and professionals, they strive to educate every client so they have more confidence and peace of mind in retirement. All written content on this site is for information purposes only. Opinions expressed herein are solely those of Buska Wealth Management, LLC and our editorial staff. Material presented is believed to be from reliable sources; however, we make no representations as to its accuracy or completeness. All information and ideas should be discussed in detail with your individual adviser prior to implementation. Fee-based financial planning and investment advisory services are offered by Buska Wealth Management, LLC a Registered Investment Advisor in the State of Wisconsin. Insurance products and services are offered through Buska Retirement Solutions, Inc. Buska Wealth Management, LLC and Buska Retirement Solutions, Inc. are affiliated companies. The presence of this web site shall in no way be construed or interpreted as a solicitation to sell or offer to sell investment advisory services to any residents of any State other than the State of Wisconsin or where otherwise legally permitted. Buska Wealth Management, LLC, Buska Retirement Solutions, Inc. nor any member of their staff is affiliated with or endorsed by the Social Security Administration or any other government agency. This content is for informational purposes only and should not be used to make any financial decisions.